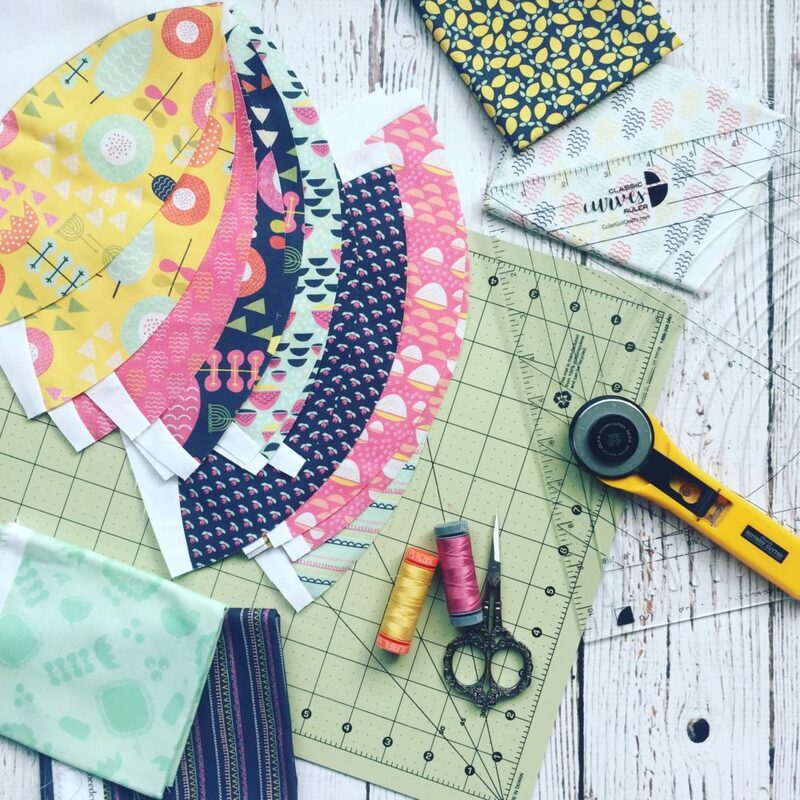 This week is my turn on the blog tour to showcase the new collection, Windsor Garden, by Kelly Parker Smith for Sweet Bee Fabric Company. It’s always fun to discover (or be introduced to) new-to-me fabric designers and companies. 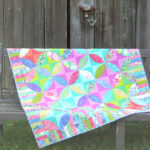 Sweet Bee is a new face in the quilting fabric crowd, and they are already producing some really beautiful collections! 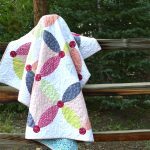 Kelly invited me to sew something to show off her first fabric collection called Windsor Garden. 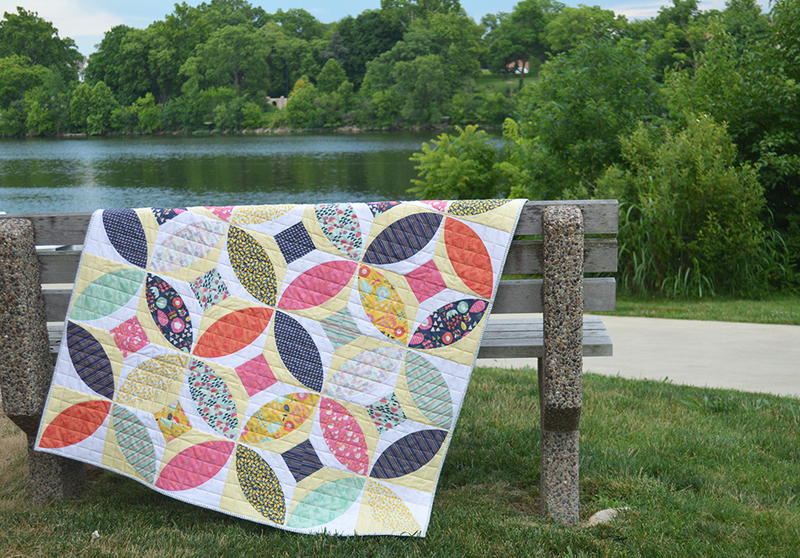 You can purchase Sweet Bee fabrics and get the look you see in this quilt. Click Here to shop. As soon as I saw the prints, I couldn’t resist saying “yes” to the chance to make a quilt. This collection is so pretty: part candy color sweetness, part retro geometric, all really cute prints. I will definitely be watching to see what Kelly creates next. In the end I settled on this pattern that lets the fabrics be the star. 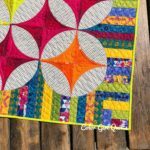 I try to do that in all my quilts…piecing is fun and I love the design challenge, but in the end, it feels so good to enjoy pretty fabrics in a pattern that compliments them. I did the 1 1/2″ grid quilting on my home sewing machine with a golden yellow shade of 50 wt Aurifil thread. I don’t often quilt with color thread, my go-to is the invisible thread so it creates texture but doesn’t stand out. I am really happy I went with the yellow for this one…it’s just the right amount of added color. The fabulous texture comes from a new batting from Hobbs called Tuscany Supreme, 100% cotton. 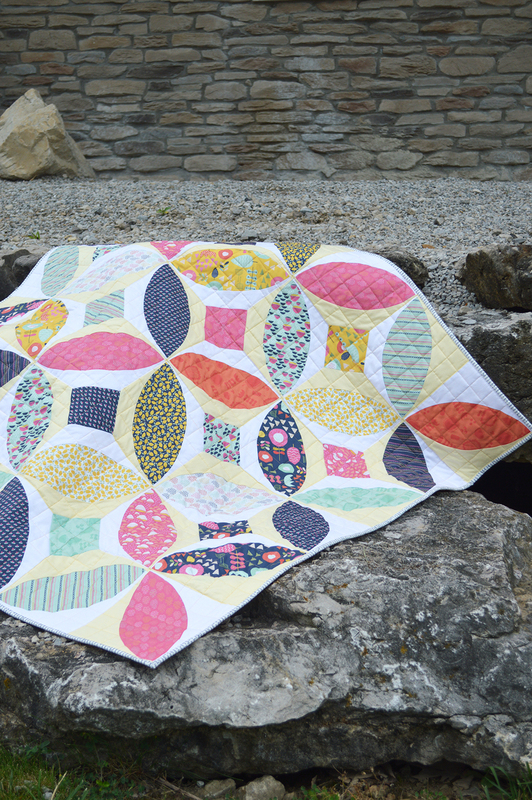 I love that it has a bit of loft so that the quilting really stands out. It’s also super soft (kind of too bad it has to be inside so you can’t snuggle it). sign up for Kelly’s email list. 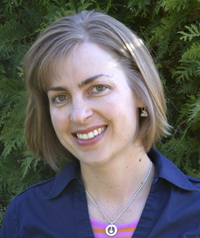 She has an adorable shop of print and paper goods, Click Here to sign up. UPDATE: Giveaway is closed and the name drawn is Kandra Flavell. Wahoo! 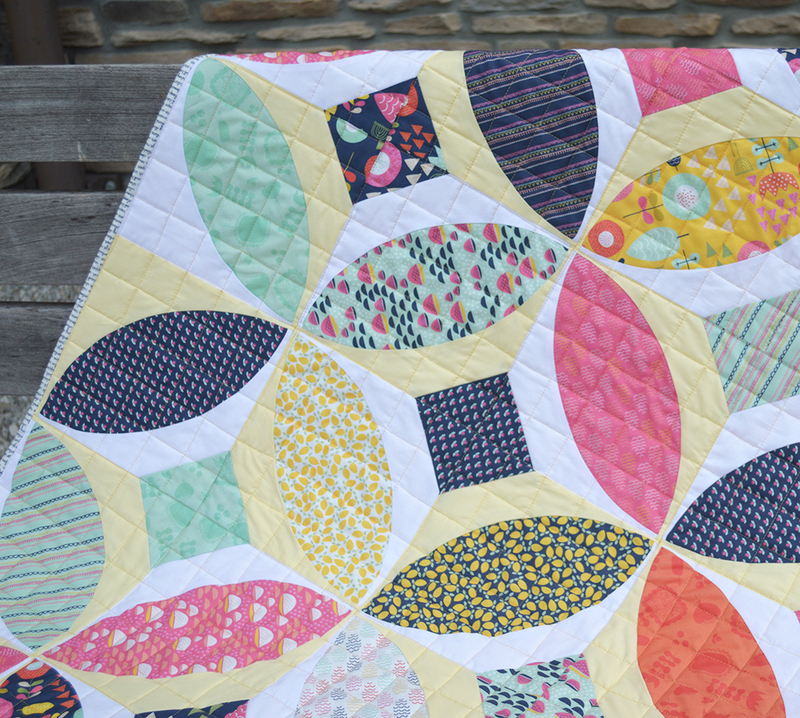 thanks so much for all the love on this quilt and the fabrics! Gorgeous! Do you have this pattern for sale? Loving the navy fabric. The sea green is my favorite too, although all the colors complement each other so well. Thanks for doing this giveaway! I love the navy AND pink. I absolutely can’t choose just one! This fabric is so adorable, the colors are so pretty but I am absolutely in love with the yellow!!! I really like the orange print! My favorite of the line is the bright yellow. It looks incredible with the navy. I love the aqua blue-green color too! So feminine & so pretty!